Hello everyone, there is a good news for you, Wismec Presa TC40W was launched at wismec.org, which is Electrionc Cigarette well-known brand Wismec Official Authorized online store, Promise all products are 100% original and with best price, also you can enjoy perfect after-sales service. If you purchase it at here, you can enjoy a best pirce, that you just only pay for $43.90, no need $59.9, means you can save $16 at this store, exciting, right? 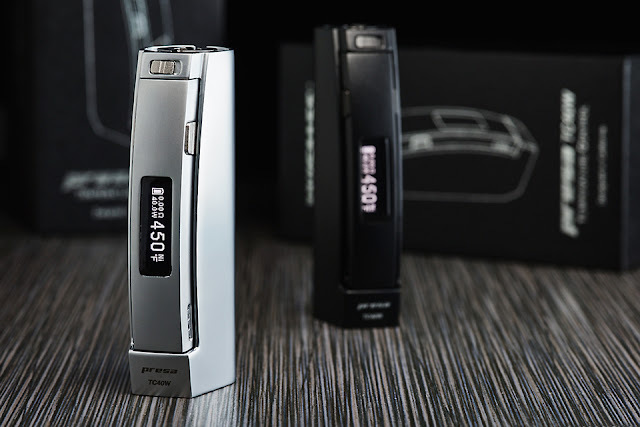 If you want to know more about it, you can visit http://www.wismec.org/presa-tc40w.html or pay attention to our blog, we would post an article about the detail about Presa TC40W, you can know more about something you don't know about it. If you are interested in it, hurry up to own it, you can have a good vaping exprience, Wismec never let you down, have a good day!